So, I just stink at blogging but that’s all changing! Is there such thing as a 1st quarter resolution? I’m going to try my darnedest to blog more and more of my sessions so y’all can see all my client’s yummy goodness. 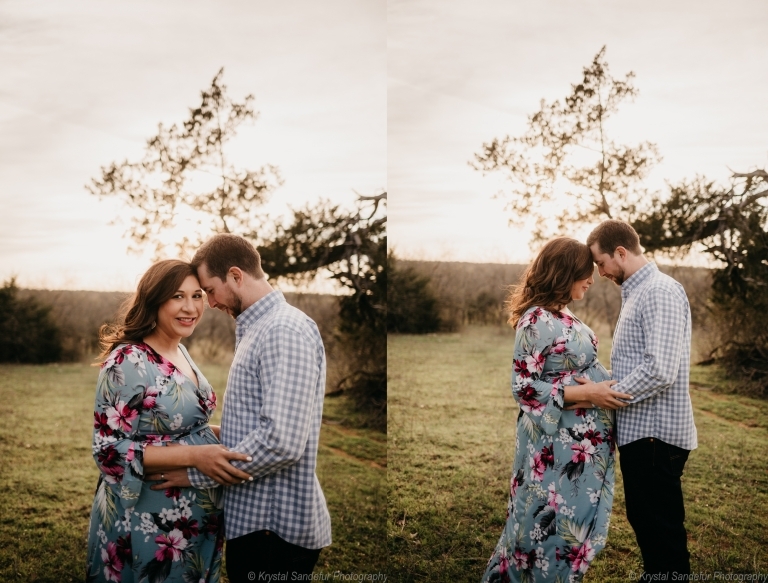 I decided to start the march off with this gorgeous mama’s maternity session! Isn’t she breathtaking?? Most of us by this stage just want to sleep offff the next month and hold our babies like now! I can’t even imagine how that would feel with TWO babies in there kicking around! Yes!! This mama and daddy are bringing two baby boys into the world! The light was definitely in our favor for their maternity pictures. That gorgeous Texas light was out and ready to party especially when we got to some lovey dovey shots. I loved the connection between these two and that color on mom was incredible. 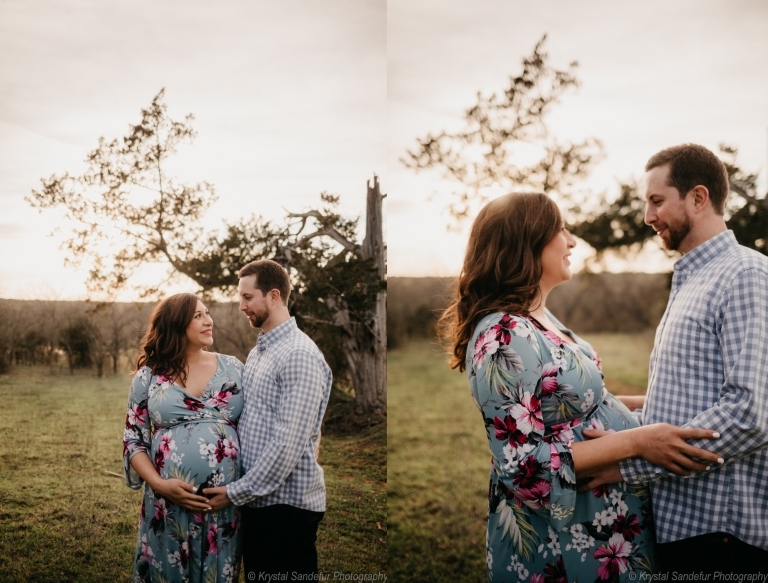 Shooting maternity sessions is such a fun time to get to meet my clients before baby comes and start our relationship in a fun way. Most of all, I am eagerly awaiting the arrival of these precious boys, be sure to be watching for their session in the next weeks!! Want to book a session with Krystal? Krystal Sandefur Photography is currently booking due dates from April – November 2018 with limited availability each month.